Legends In Steel Damascus Axe | BUDK.com - Knives & Swords At The Lowest Prices! 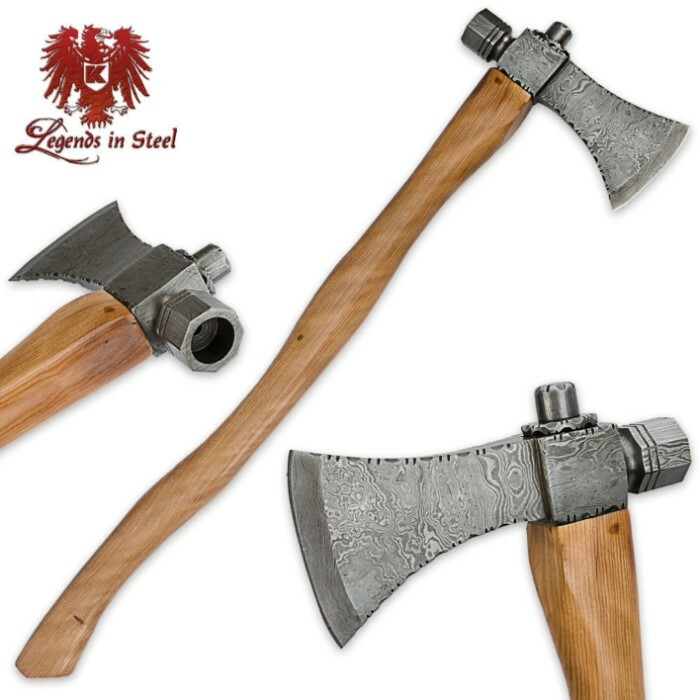 Legends In Steel has recreated this traditional, antique-style axe in stunning detail. The heavyweight construction gives it an authentic look and feel. The axe head is forged of genuine Damascus steel with striking patterns and file-worked details, and the large handle is carved of genuine olive wood.